We have been busy this year photographing beautiful soon to be mothers in their last trimester followed by their new arrival. Creating maternity portraits is a special time to remember the days before your new baby arrived. 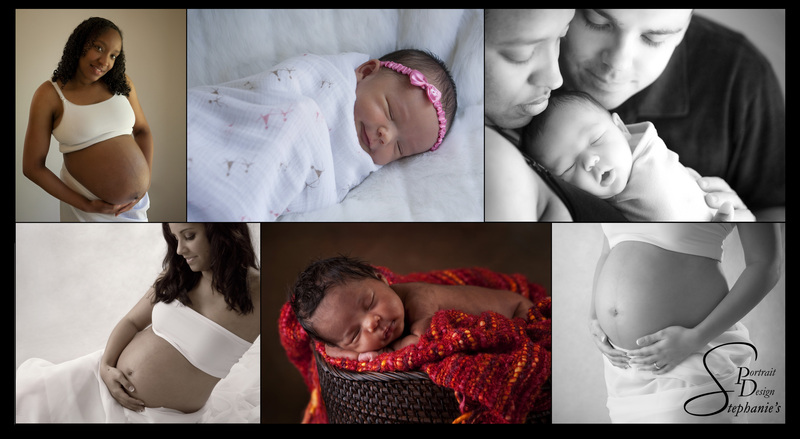 We love to create a fine art album from your maternity and newborn sessions. With each turn of the page you can remember what it was like to feel his first kick, the excitement as you prepared the nursery, and what an amazing thing it is to be pregnant with this sweet and innocent baby. The newborn session is the time we create images of her still so fresh and new. She will be small and have adorable wrinkly skin. They grow and change so fast. Soon, she will be running out the door for her first day of school, but you can cherish these first moments with beautiful portraits crafted in an elegant fine art album.